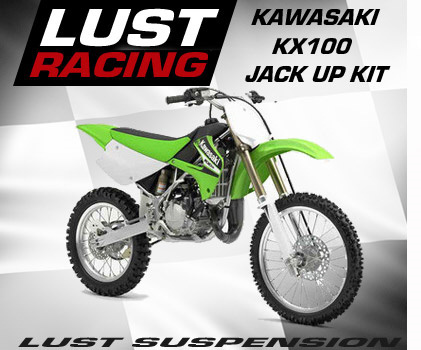 Kawasaki KX100 jack up kit from Lust Racing. Steel suspension linkage kit increases ground clearance and seat height of your Kawasaki KX100. Speeds up steering response making the bike more agile and improves steer-in to bends.